Last week, in a stunning departure from the rule of law, the Supreme Court decided that it has the right to speak for God. Five judges voted to defy God and ignore the will of millions of Americans as they declared that marriage is not what God, the Creator of marriage, says it is. Yes, the Supreme Court has made it official: the United States of America has declared that it doesn’t give a hoot about it’s Judeo-Christian foundations. We have gone from teaching our people about the dangers of what God calls sin to celebrating it. God have mercy. A couple of days ago in Oklahoma, the Supreme Court ruled that the Ten Commandments should no longer be displayed on government property. You know, because God’s words “Thou Shall Not Kill” seem pretty judgmental. We can’t have that. The culture cries, “Don’t judge!” After all, we kill our unborn every day without so much as a second thought. We don’t have a leg to stand on where murder is concerned. Adultery? Who cares? We love that stuff in the good ol’ USA. It’s the theme of most of our favorite TV shows! Coveting? No big deal. We deserve what that other guy has, right? Looking around, it’s clear that many Christians have unbuckled the belt of truth under enormous pressure from the culture. Many pastors have begun exchanging the truth of God’s Word for the easy “truth” of the world in an effort to be “loving,” except that denying the truth of God is never loving. I have to wonder if those pastors who will not stand on the authority of Scripture care more about winning a popularity contest than they do about speaking the truth. Be resolutely committed to reading and “rightly dividing” the Word of Truth.This means that each of us needs to take responsibility for our own walk with God. Your pastor should not, and in fact, cannot replace your personal time with the Lord.We are living in a biblically illiterate generation of Christians who do not know the Word of God and therefore cannot stand upon it. This is a terrible weakness. Christians who do not know the God they claim to serve are sacrificing truth on the altar of compassion. If we are not in the Bible, we will operate on our own thoughts and motives. 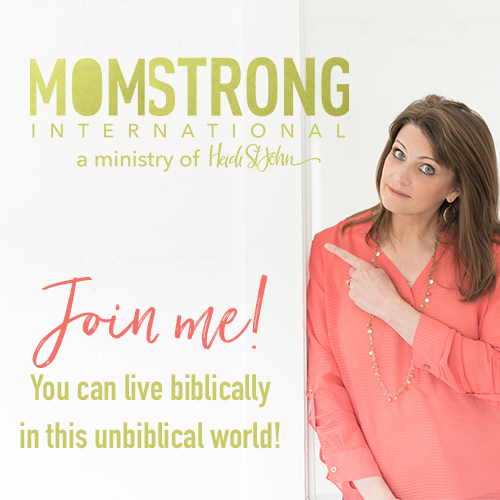 We must be in the Word! 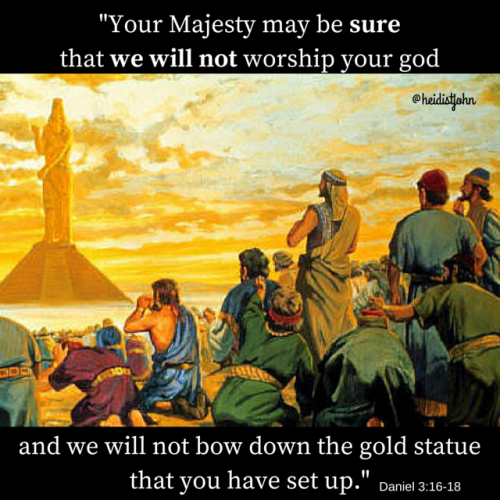 I have been thinking a lot about Shadrach, Meshach, and Abednego and their decision not to bow to the gold statue that their king ordered them to bow to. Despite threat of death, they honored God. We are at a “gold statue” moment in the United States. This is our time to choose whom we will serve. Today, we are being given an opportunity to be exactly who God says we are: SET APART. Be set apart, Christian! Be different! Will you be persecuted? Yes. Criticized? Absolutely. But I’ve decided to follow Jesus. 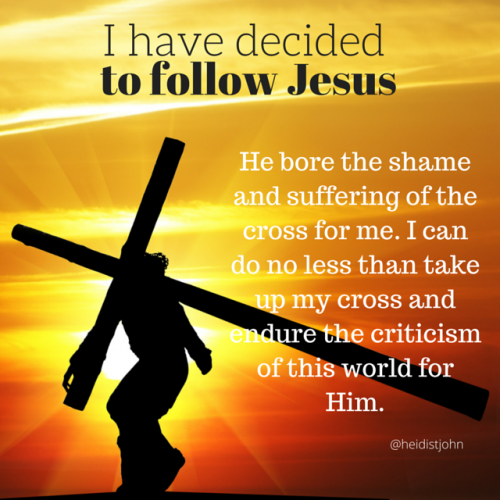 If Jesus was willing to bear the cross for me, then I am willing to bear the criticism of this world. Bravo!! Love the honesty and passion in this post! So happy to see that you didn’t let the negativity you received last week stifle your heart or your words! Last week was definitely the beginning of persecution of Christians in America…unbelievable. 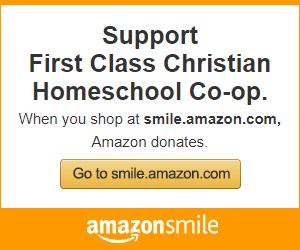 I never realized how many people discount God and think we Christians are silly and stupid. I think I had a harder time coming to realize how quickly our media has turned a whole generation of people into atheists. It is more important now than ever for us to understand the Word and what we as Christians must fight for. In a moment of “that’s it, I’m outta here” I looked at several demographic maps of the World earlier this week looking for a new place to live….to run to. From what I can tell, there is no where to go to escape the acceptance and celebration of immorality. So I am ready to dig in for the long haul. Just sad to watch this unfold in my children’s generation. I agree, Amy. It is sad. 🙁 But we have hope! Stay in the Word! Thank you so much for your openness and willingness to stand up for Truth. I have been so encouraged by these posts. I love this..please pray along with me..